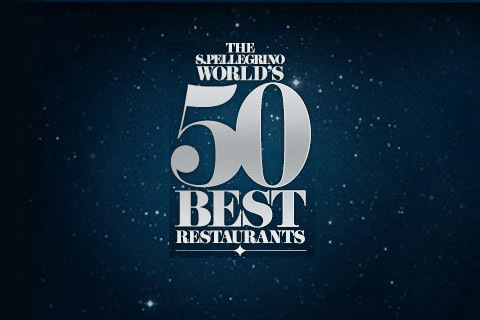 The S.Pellegrino World’s 50 Best Restaurants 2010 results are in and it’s good news for Singapore. My personal favorite, Iggy’s, climbs up 17 spots to number 28! The meal I had there was truly something special (so much so I’m now attending Iggy’s alma mater, SHATEC)… and while it’s not for everyone, I don’t think anyone can deny that what’s going on in that kitchen is moving the food world forward. A new entry to the list for Singapore is Jaan Par Andre. I first heard of this restaurant and it’s young, Singaporean chef via Chubby Hubby. I’ve yet to visit, but it’s on my high-end shortlist. I’d try and get in quick though, because I’ve read the now hot chef is in talks to start a new restaurant. If this is true, I’d like to eat here before his attention is divided. But wait, there’s two more Singapore spots on the list… not top 50, but at least top 100. Another of our favorites, Gunther’s, makes the list at 84. And the restaurant that seems to be the touchstone for Singapore fine dining, Les Amis comes in at 78. I don’t think you can read about any talented Singapore based chef and not see at least one Les Amis group restaurant on their resume. So that’s a total of 4 restaurants in the top 100. Not too shabby, considering the size of the country… I mean that’s tied with massive Russia and one more than Japan. On a side rant, that’s my major gripe with this list… Having eaten in Japan, and not even at all the top places, I really don’t believe Japan is getting it’s due as even the not super top meals in Tokyo were on par with some on the list. There are more 3 Michelin-Star restaurants in Tokyo than Paris and so I really believe there are some great restaurants getting overlooked. Iggy’s Singapore – Best Restaurant in Singapore? How do they rate those “Best restaurants”? I wonder what they are judging and to how many restaurants are they really eating at? On the site it didn’t say much in terms of what’s being evaluated.